Padded sneaker-type ankle opening offers comfort & softness to this stylish Latin shoe. Split sole & half-shank allows foot to arch & feel the floor. 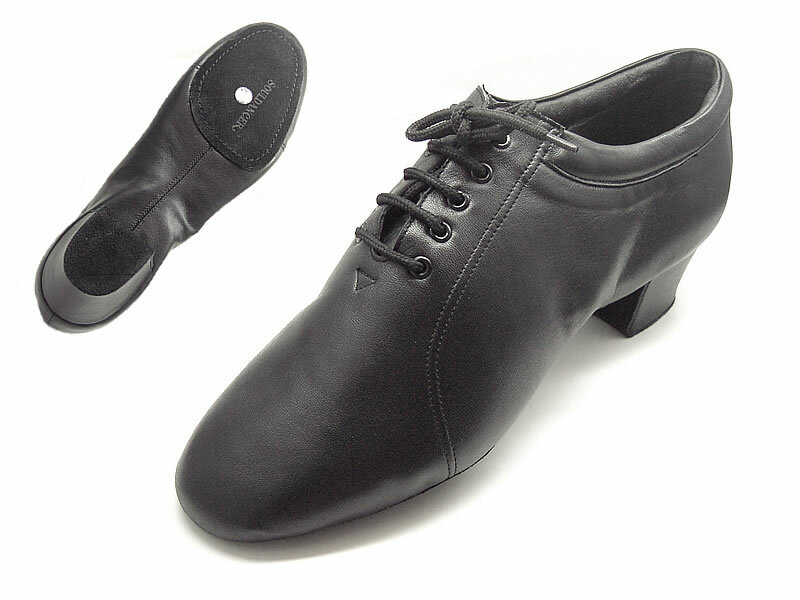 Pictured in Black Calf Imported Leather(S4), with Men's Latin Heel.